Here in Aleph IT, all our web design are created upon a powerful platform architecture. It is shaped to enhance your business and promote a robust foundation for online marketing development. Each business in different industries encounters challenges that need to have tailored solutions. We pride ourselves in placing importance on your website for you and your clients. Our web designer Perth and expert programmers’ mission is to deliver a website that is beautiful, responsive, engaging, and revenue generating. While technology is always present in almost everything that we do today, it is the audience who will have an impact on a business’s success. We design a website as not just a product, but as a powerful tool that the owner can benefit in many ways from. It is necessary for the online transactions between you and your prospect costumers. We listen promptly to you and your demands, before proceeding to designing an effective and elegant website for your project. With years of collaboration with large and small companies, we are knowledgeable enough in the field and we know what works and what doesn’t. Plus, we make it our mission to deliver the project on time. We create designs that look good on any platforms, like in PCs, Macs, or smartphones. 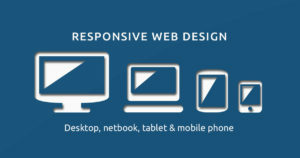 Having a responsive web design is about providing your customers the best experience. It should be attractive, simple, easy to navigate, and houses an intuitive design that suits any device perfectly. The combination of a significant graphic design and seamless website functionality is our forte. So, if you need an IT company to make high quality web design in Sydney, Perth, Rivervale, Ascot, and Bermont, then we are what you are looking for! Getting your business website distinguished among others in these cities isn’t an easy thing. With many choices in the online market, it can be hard to make it stand out and land on page 1 in search engines. Having an excellent and responsive website design strengthens your online presence propels your business to success. There are hundreds of companies in these cities that have resorted to adopting a responsive web design as part of their overall marketing strategy. Aleph IT can help you achieve this! In making your website a great place to visit, having the right colour palette and correct style of navigation are all part of the development. We will do our job closely with you to meet the things that you want to achieve. Then we will put the design into reality with our expertise. We use our creativity in designing your website that is not only easy to navigate and beautiful to look at, but also SEO friendly. Take note that there is no point in having an attractive website unless people can see you! Regardless of the size of your enterprise, we guarantee to give high-end results. Our team is steadfast in making every nook and aspect of your website design blend together. Getting the precise design, giving clients a brilliant experience and making sure that your website delivers your business are our focus. If you need someone to help you with web design, look no further. Our team knows exactly what fits your business and we can give a consultation every step of the way. Contact us now through mobile, email or skype. Our customer care representative are always happy to serve you. This entry was posted in Aleph IT Services and tagged build web design, customise web design, responsive web design.